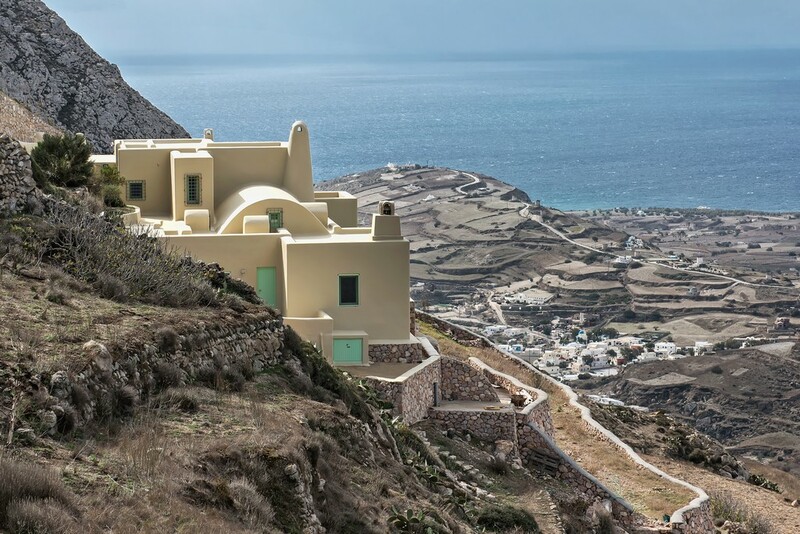 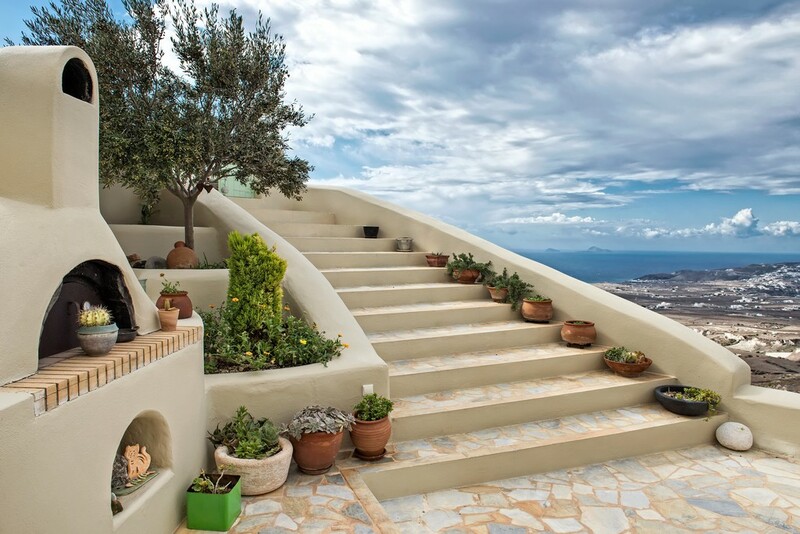 Hanged over a steep slope, the “View House” offers a full view of Santorini and the southern Aegean Sea. 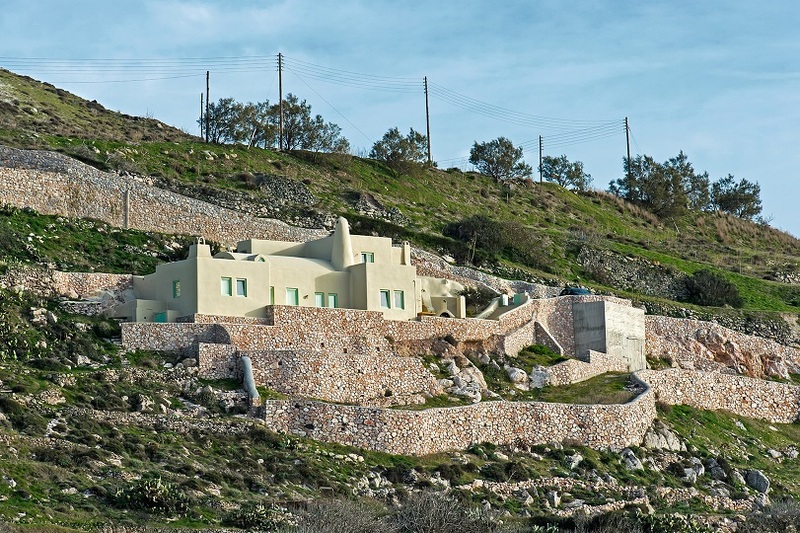 The house consists of multi-level floors with an extensive use of dry stone walls. 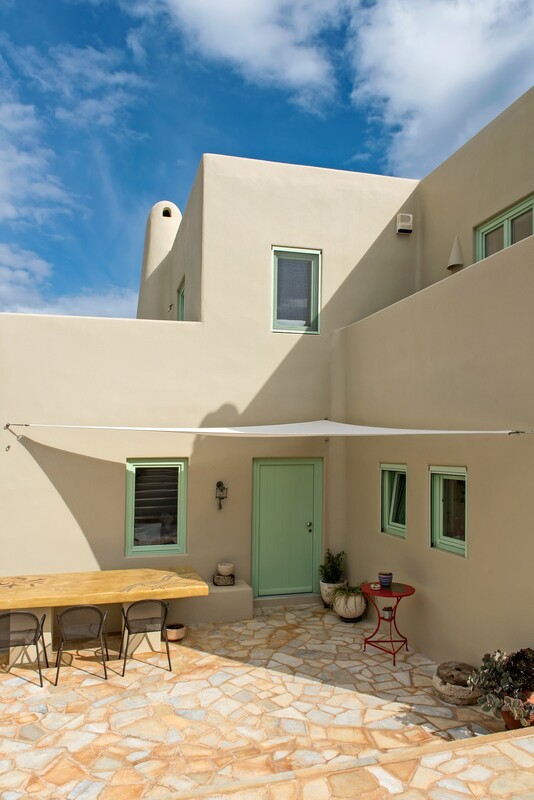 The house has a soft earth colour palette for the façade which makes is very unique escaping the usual pure white. 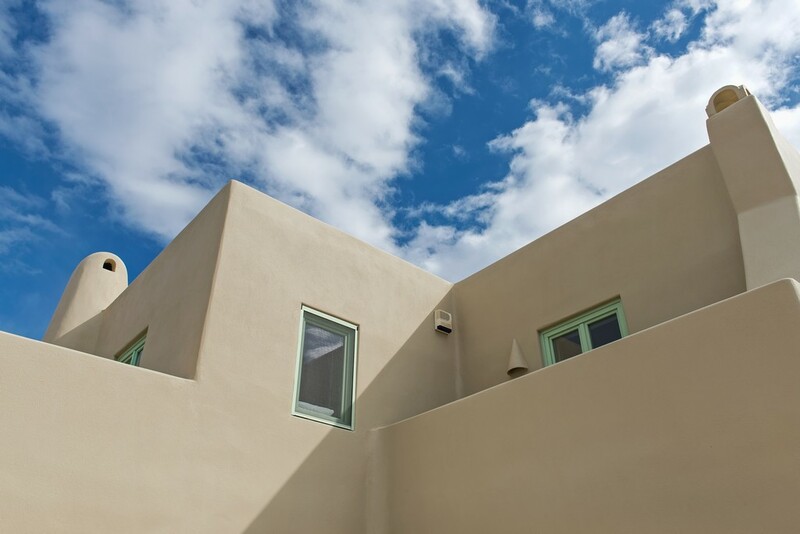 The pure white covers the interior walls, helping the natural light to spread in the house. 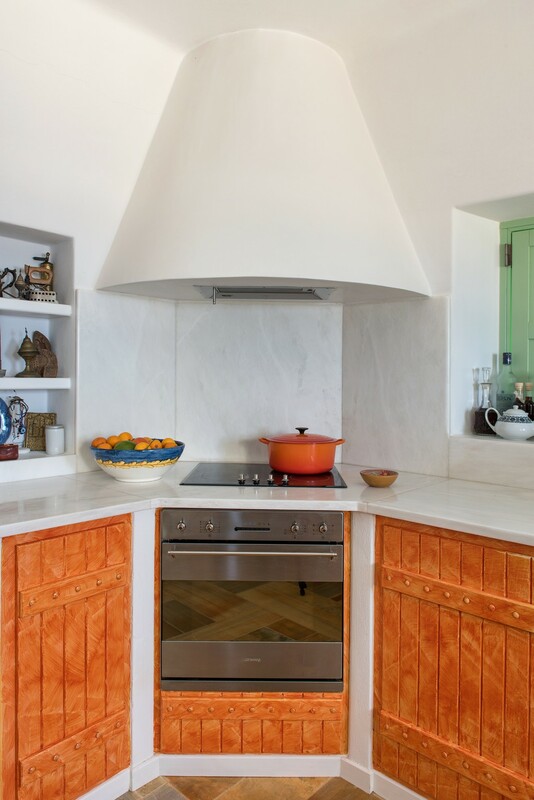 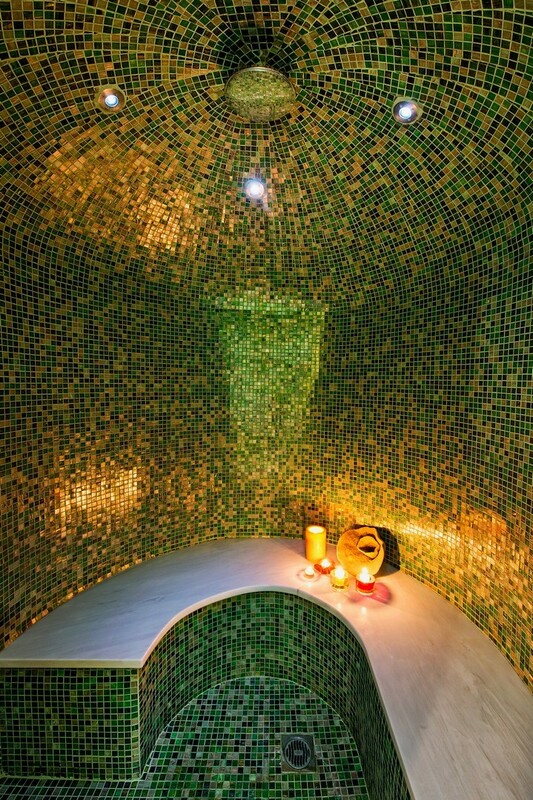 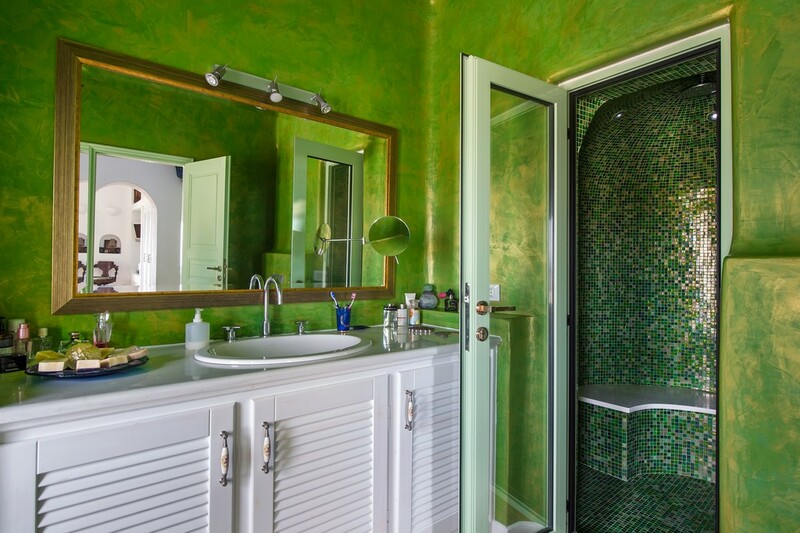 A touch of freshness is given by lime green tones used for the openings and bathroom. 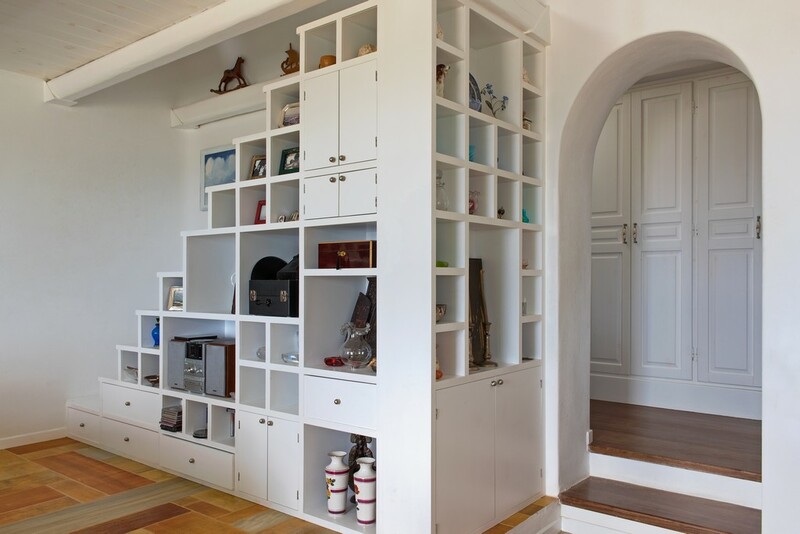 The stone floor gives a hint of comfort to the family environment. 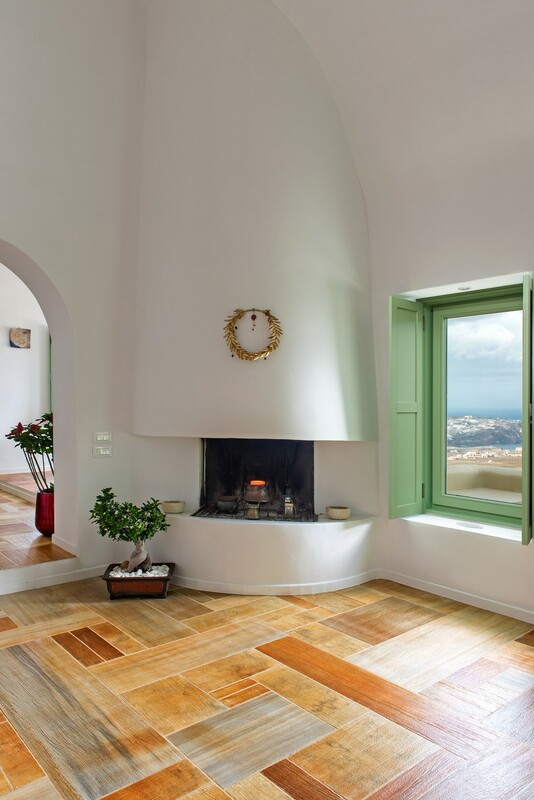 The presence of the traditional Cycladic architecture does not stop on the outside dry stone walls, but it is evident also in the indoor with the various built and walled furniture. 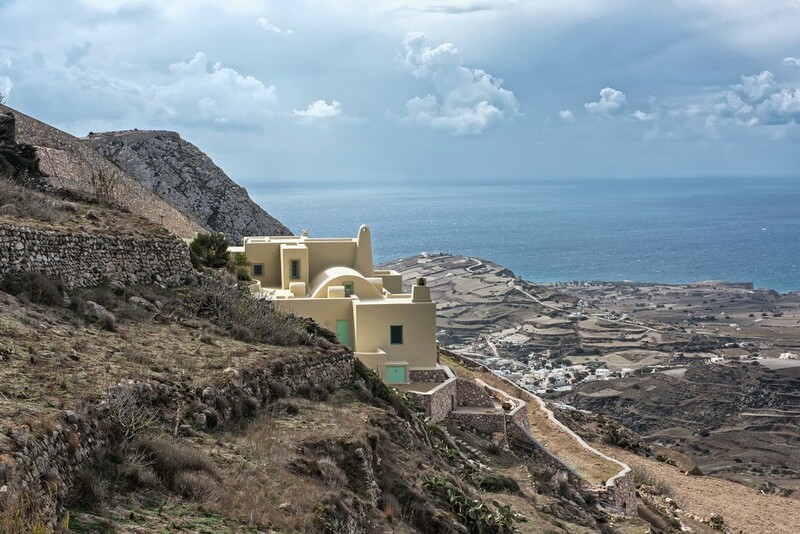 Oikos architecture at “View House” offers a mix of modern elements and traditional building, not only for the appearance but also, as a construction solution.